Saloca in Wonderland: Do YOU have a secret blog? Do YOU have a secret blog? 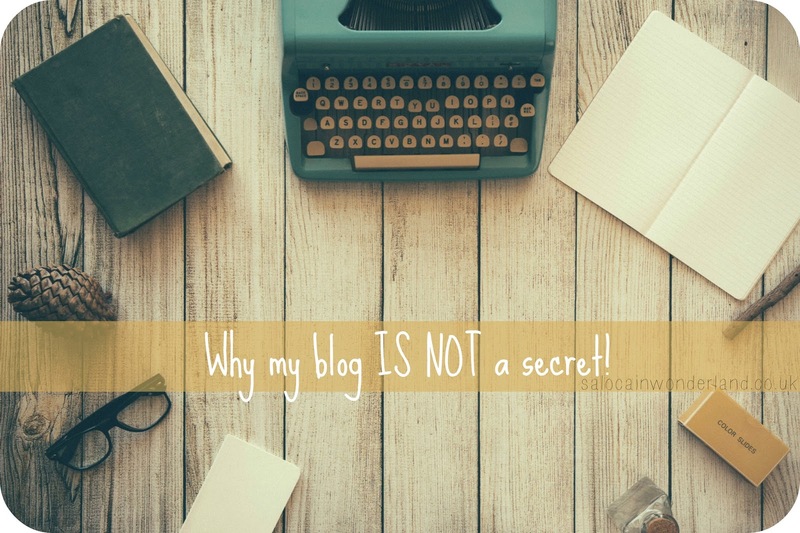 It baffles me when people say they keep their blog a secret from friends and family. I get it, I get they might want the privacy, or they might be blogging about something they would rather not share with loved ones, but more often than not, when I ask bloggers why they keep their blog a secret, they say their embarrassed. Embarrassed that friends and family won’t understand what it is they’re doing, that they will be laughed at, mocked, have the piss well and truly took out of them because they blog. And this really saddens me. This is something I have talked about countless times before with one of my blogging besties, Corinne of SkinnedCarTree. You see, her blog is awesome, and she keeps it a secret from pretty much everyone she knows offline! Shes actually wrote about why she keeps her blog a secret, so go check it out. I love talking about my blog. From discussing post ideas to recent events I’ve attended, further thoughts on a product I have reviewed or directing friends to my foodie reviews when they’re looking for a new place to try out. It’s all just an extension of our everyday conversation. I’ve been lucky in that most of the people I know have been extremely supportive of my blog. Sure, some have questioned it, laughed at me for ‘being all teen angst emotional’ online (FYI those where my LiveJournal days and that content has long disappeared into the black hole of the internet!). More often than not, the people who do question it just want to know why. What could I possibly have to say that other people would want to read about? For me, blogging isn’t a business, it’s a hobby. It’s a fulfilling pastime and a creative outlet. How is that any different to someone who likes to draw or paint? When someone tells me their hobby is golfing or model plane building, how is blogging any different? It’s time spent doing something I enjoy. I love it when a friend comes to me and says, ‘I read about such and such a thing on your blog, do you think I should buy it/ try it/ go there?’. I love it when colleagues tell me they’ve been recommending my blog to their friends and I love how my parents practically hand out my URL to everyone they meet because even though they might not fully understand what it is I’m doing, they’re proud of me. Being open about blogging does have it’s cons, I won’t lie. There are times I might want to talk about something and won’t because I know whose eyes are reading these words. There are times when my mum has phoned me up, questioning something she has read on my blog, and when good things happen, I have to be sure to tell the people in my offline life first before they find out about it through the blog. In my experience, keeping a secret blogging life is much harder than just telling people about it in the first place! But when I’m struggling for ideas, unsure about how a post sounds or in need of photo taking assistance - I have people I can call on and count on. My Mr is full of ideas, so much so I think he should probably take over the blog, and my Mum is always on about going places with me so I can blog about it. My brother loves to get involved in posts, especially those that involve food, and my friends, the bloggers and the none bloggers give me so much positive feedback on what I’m doing in my little corner of the internet that it makes me smile. For my birthday this year a close friend gifted me something. As I tore off the wrapping she stopped me and said, ‘I’ve been reading your blog and you’ve been doing so many food related posts, I thought these might come in handy’. When I tore away the wrapping she had given me a cook book stand and my own recipe book to start filling in. We then spent the rest of the evening discussing blogging and I even convinced her to write a little guest post for me - and she had never blogged before. Blogging has become a huge part of my life and if I had to keep quiet about that, well, I don’t think I would last very long. I’ve done the anonymous thing, I’ve had secret blogs in the past and having to shut down a computer or hide a laptop every time someone walks in the room is tiresome. Being asked, ‘what are you doing?’ or ‘what are you writing?’ and having to lie just becomes more awkward to keep up with. Blogging is becoming more and more mainstream these days, more people know about it, are trying their hand at it, and it’s not some dodgy little thing to be caught doing online. Blogging is something to be proud of. Is your blog a secret or do you tell the strangers at the bus stop all about your Google page ranking? Mine is a secret to everyone apart from my boyfriend. I suppose I'm scared of being made fun of if people read it. I understand your fear, I've been there before but it really was easier to just tell people than keep it to myself. A lot of people, after finding out about the blog just actually said, 'oh, that's nice' like I'd made them a cup of tea and never showed any interest! It really is, is't it? I've been so lucky that they have been so supportive and helpful, it's made it a much more involved experience that's for sure! I love the way you compare blogging to hobbies such as painting and drawing. I've never thought about it like that before, but for me blogging is just that; a fulfilling past time. I was a secret blogger for years, and when I started to talk about my blog I talked like I was ashamed of it. Goodness knows why because it has opened the door to so many amazing opportunities, including jobs, and it really has changed my life for the better. 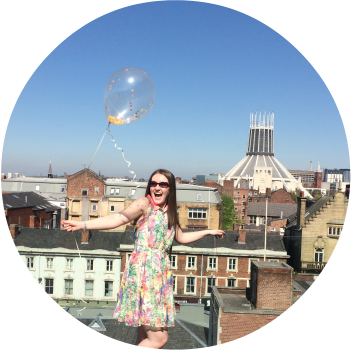 Now I'm proud to say "I have a blog" and hand out my business card left, right and centre! Blogging IS a hobby! I'm so surprised that other people don't see it that way! Sure, if it's your business or your job then it's different but for most of us, it's something we do in our spare time that we enjoy and have fun with and get something really positive from - that's almost the definition of a hobby! I am so proud of my little corner of the internet, doesn't it feel great to be able to show it off? I feel like this is one of those inspirational stories with a happy ending that I haven't got to yet, haha. It sounds so nice to be so open about blogging! You will get your happy blogger ending I promise! Everyone knowing about your blog really isn't the worst thing in the world, and being able to talk about it a million times easier than trying to come up with excuses or answers when people are asking you what you're up to! Just go with it! It's funny how it becomes such a private, personal thing - yet we write and post pictures all over the internet! SO many people have told me that their blogs have just become private by default, some have been blogging for years without telling friends and family. Because it's been kept quite for so long they then feel like they need to keep it quite for fear of being questioned about why they kept it quite for so long! I was the ultimate secret blogger until this year when our local paper offered me a weekly column and I got a little award for my blog - it's REALLY sad that it took an accidental outing (my face and name next to my column every week sort of gives it away!) to make me feel proud of my blog and what I'm putting out there in webland. Not a single person I told prior to that was a negative nelly about it though, it's really our own daft fears holding us back isn't it? I loved this post, I think you've inspired me to be less sheepish when talking to people about it. Maybe. Possibly. Sort of. Wow thats an amazing thing to come out of blogging - to be offered a column would be a dream - and would make me feel a little like Carrie Bradshaw! I'm so glad you've been inspired to be a little louder and prouder about your blog - and so you should be! We work so hard on a blogs, if we baked a really amazing cake we would want everyone to try a slice, so why when we write an amazing blog post wouldn't we want everyone to read it? Woohoo, happy you're going to share your blog with them! Haha you're too sweet! I couldn't NOT talk about my blog, it's just such a normal part of my life now, I talk about it like I'd talk about a good show I've seen on tv! My blog is not a secret and it's pretty well every emotion good or bad that I've felt. It's all over my social media, there are old posts that I cringe at but truthfully that was how I felt then, I actually think it shows how I've grown as a writer. It's a passion and hobby of mine and I talk about it a lot... probably too much but I love it... just like others love their hobbies. It must be hard to keep it a secret, I couldn't imagine... I do wonder if I might be oversharing at times but then that's me, that's who I am. Well if people don't like the over sharing they don't have to read the post hehe! I cringe at some of my old posts and other online writings too, I think that's only natural, and the more we write the more we grow as writers! It takes time to find our voices! I have lots of real world friends who blog so we talk blogging a lot, but I talk about it just as much with non-blogging friends too! I know half of them probably don't understand what exactly it is I'm going on about but they nod and smile in all the right places! Mine has never been a "secret" but I do find it a teeny bit embarrassing when people at work or at Church talk about reading something on my blog. I remember one day being in a meeting with loads of important people at work and someone said "oh you wanna ask Zoe about that she's a blogger"... I was floored and had no idea what to say! But I'm slowly getting more confident about talking about it and it's really nice when friends say nice things about what they read, so it'll come and will be second nature in no time I'm sure. When people first started bringing up my blog I was a little taken a back, I didn't think anyone in 'real life' actually took any notice of the links I was putting up on facebook/twitter etc. Everyone was so supportive from the start though it was lovely, now it's just a normal topic of conversation amongst friends and family! I don't actively hide my blog but there's very few people that know what I do! I don't know why really, I always just had visions of one day being on Facebook like "yeah so the past year and a half i've been running a reasonably successful blog here ___". I kind of want to be able to justify why I do it and why I work so hard, whether that's having x many followers or making enough to pay some of my rent, I don't know. People do tend to notice I'm more clued up on some subjects than your average joe though, I like that haha.